Discs of pearlescent abalone shell form the basis of this series ‘Abalone Moon’. Disc and leather necklace. Various discs (floral, shell, cut-out) neatly woven with 1mm black leather cord. Discs measure 1.5cm/5mm up to 3cm/30mm. Adjustable length 47cm/18.5 inches to 55cm/22 inches. Mixed gold and silver plate. Disc and leather necklace. Various discs (floral, shell, cut-out) neatly woven with 1mm black leather cord. Discs measure 1.5cm/5mm up to 3cm/30mm. Adjustable length 47cm/18.5 inches to 55cm/22 inches. Silver plate. Beautiful Abalone disc bracelet. 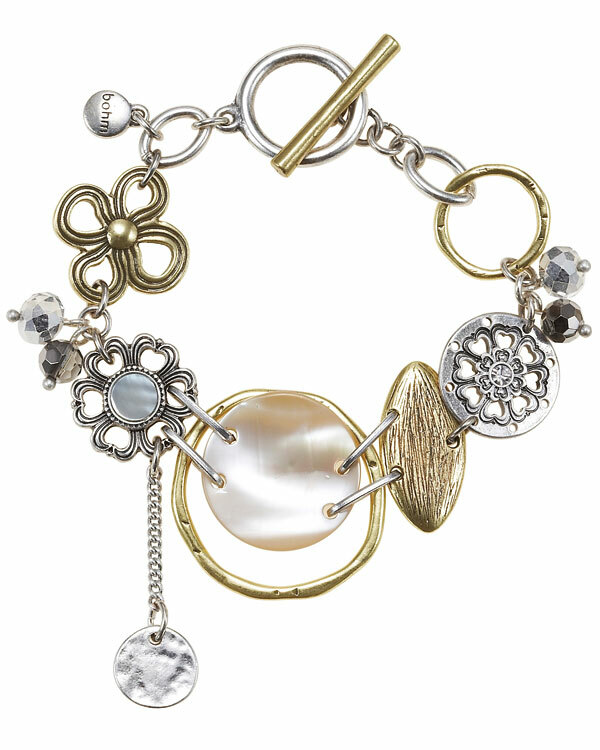 The bracelet combines black leather cords with various discs, floral motifs and charms. It is adjustable. 5 inches/12.5cm up to 9 inches/22cm. The various discs measure 8mm up to 2.4cm/24mm. Mixed gold and silver plate. Beautiful Abalone disc and charm leather bracelet. The bracelet combines black leather cords with various discs, floral motifs (with Abalone shell insets and Swarovski crystals), heart charm and faceted Swarovski crystal bead. It is adjustable. 5 inches/12.5cm up to 9 inches/22cm. The various discs measure 8mm up to 2.4cm/24mm. Silver plate. 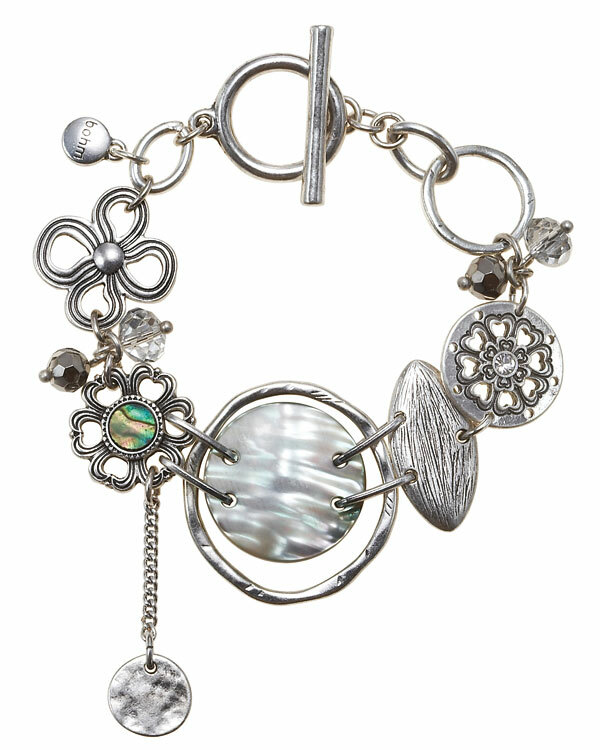 Beautiful Abalone disc and charm T-Bar bracelet. The bracelet combines various discs, floral motifs (with Abalone shell insets and Swarovski crystals) and faceted Swarovski crystal beads. Length 7.5 inches/19cm. The various discs measure 8mm up to 3cm/30mm. Mixed gold and silver plate. 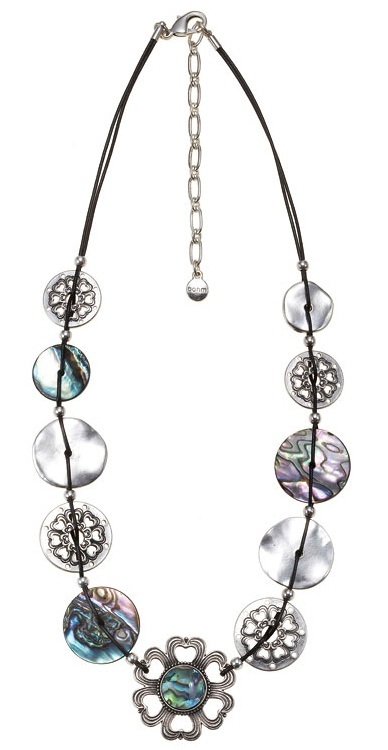 Beautiful Abalone disc and charm T-Bar bracelet. The bracelet combines various discs, floral motifs (with Abalone shell insets and Swarovski crystals) and faceted Swarovski crystal beads. Length 7.5 inches/19cm. The various discs measure 8mm up to 3cm/30mm. Silver plate. 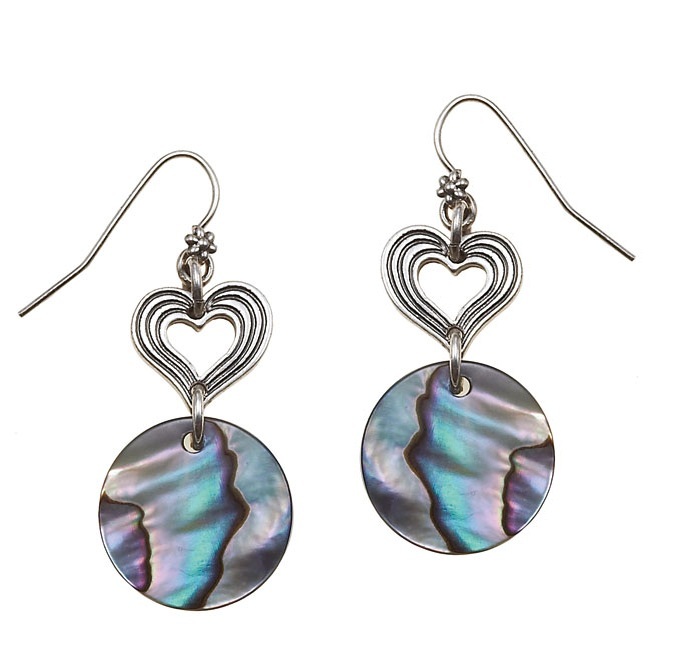 Beautiful Abalone disc and heart charm earrings. The various discs/charms measure 1cm/10mm up to 1.8cm/18mm. Total length 4.5cm/45mm. Hook fastener for pierced ears. Mixed gold and silver plate. Beautiful Abalone disc and heart charm earrings. The various discs/charms measure 1cm/10mm up to 1.8cm/18mm. Total length 4.5cm/45mm. Hook fastener for pierced ears. Silver plate. Beautiful Abalone disc and flower charm earrings. The various discs/charms measure 1cm/10mm up to 2cm/20mm. Total length 6cm/60mm. Hook fastener for pierced ears. Silver plate. 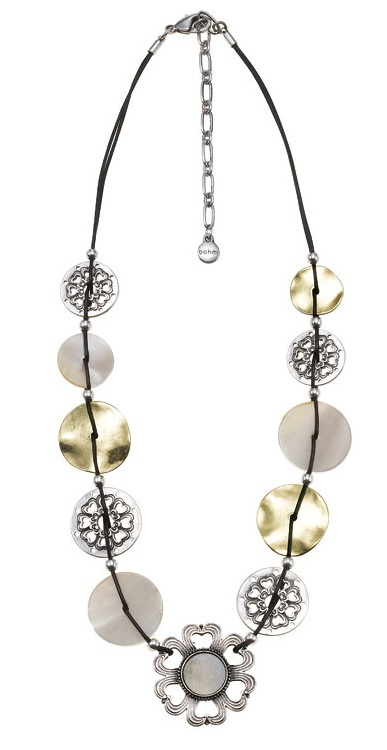 Beautiful Abalone disc and flower charm earrings. The various discs/charms measure 1cm/10mm up to 2cm/20mm. Total length 6cm/60mm. Hook fastener for pierced ears. Mixed gold and silver plate.